Everyone is aware of the current staff shortage in the hospitality industry. It is therefore important to keep your staff motivated so that they are willing to stay with you. Here are six ways to do so. Do not forget that you serve as a role model for your employees, whether you like it or not. Your hotel staff is constantly observing you and replicating your actions, so why not use this to your advantage? Offer positive and constructive feedback to your hotel staff whenever you can. Additionally, give your staff the opportunity to ask you questions by being approachable and available. By becoming your employees mentor, you will inspire your team’s leaders to serve as role models too.. When evaluating your staff, you must keep in mind that your work can also be improved as a boss and it is important that you stay humble. Allowing your staff to express their opinions can be just as beneficial to you as it is for them. The best way to receive feedback is through an anonymous online survey, so that you cannot recognize their handwriting. Nothing can be more frustrating than being hesitant to voice an honest opinion, as employees may fear what the boss will think. By giving your staff the opportunity to give you some anonymous feedback, you allow them to freely express their opinion, while showing them that their opinion matters and that you care about their well-being. Do you pay your hotel staff enough? If not, do not be surprised if they leave your hotel to take a job at one of your competitors, where they are likely to be better paid. It is crucial to pay your staff a competitive and fair salary in order to retain them. In addition, if you recognize one of your employees to be particularly hard-working, or to have a significant amount of seniority, you could consider raising their salary. This will have a direct impact on their self-esteem as well as on their motivation. If you pursue this kind of rewarding behaviour, you will very rapidly see the return on your investment. Salary is obviously not the only way to invest in your hotel staff. You can offer your employees group insurances, refunds for their commute costs or even gym memberships. This will show that you care about them. Giving them the opportunity to participate in regular trainings to acquire new skills or update their current skills is another way to value your employees and invest in them. You can also set up casual meetings so you can discuss their professional development and their career plans. This way you will be able to determine what you can do for you employees in order for them to reach their goals. If you do not provide the opportunity for your staff to learn and improve, they will seek another job where they will be able to do so. By investing in your employees, you give them a reason to stay. Don’t be afraid to promote the employees who deserve it. Of course, promotions come with a raise in salary, but it does not necessarily mean that the monetary aspect is what motivates the promoted employee the most. In management positions, it is often recognition and respect from the boss, or the ability to make important decisions on their own or within a committee that motivates employees. 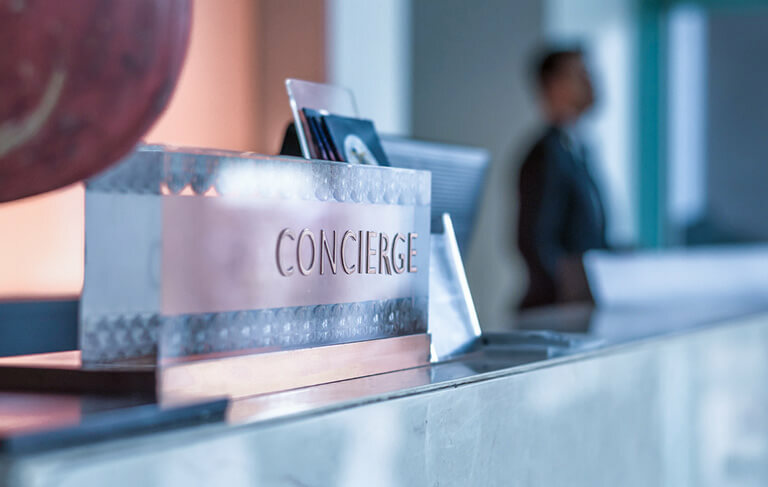 If a member of your hotel’s staff seems ready to take on that position, understands your hotel’s operational features, and is well respected by his or her peers so that being promoted will not negatively impact the rest of your team, do not hesitate to promote him or her. Even if you are unable to promote or raise your staff’s salary, you can motivate them by trusting them. For example, cease any micromanagement where you would want to control every single one of your staff’s actions. Instead, show them that you trust them and that you do not doubt the quality of their work. Your hotel staff will improve their self-esteem and thus will be motivated to continue working hard. To motivate your employees on a daily basis, you can also remind them that they are part of your company and explain to them how much their work can make a difference in allowing the company to reach its goals. Many of us have already heard of that one boss who is mean and not understanding, and who makes his employees sad and miserable. Obviously, being understanding is not always easy, but as a boss, you must try and be as understanding as possible. If you see that one of your hotel employees seems particularly sad or troubled, ask them what is going on and try to give them some advice instead of worsening the situation by asking them to smile. Try to step inside your employees’ shoes and to show them as much empathy as possible. If one of your employees shows up late to work due to a flat tire, you do not need to add to their trouble with a snarky comment. Also try not to get too involved in your staff’s personal life. Each person is different and some of your employees might prefer coming home to their family rather than accumulating extra hours. As a boss, it might be hard to accept, but then again try to understand your employees and to show empathy. By taking these six pieces of advice, you will certainly become a better boss. This way your hotel staff will gain motivation on a daily basis, and more importantly, they will be motivated and they will enjoy working for you.